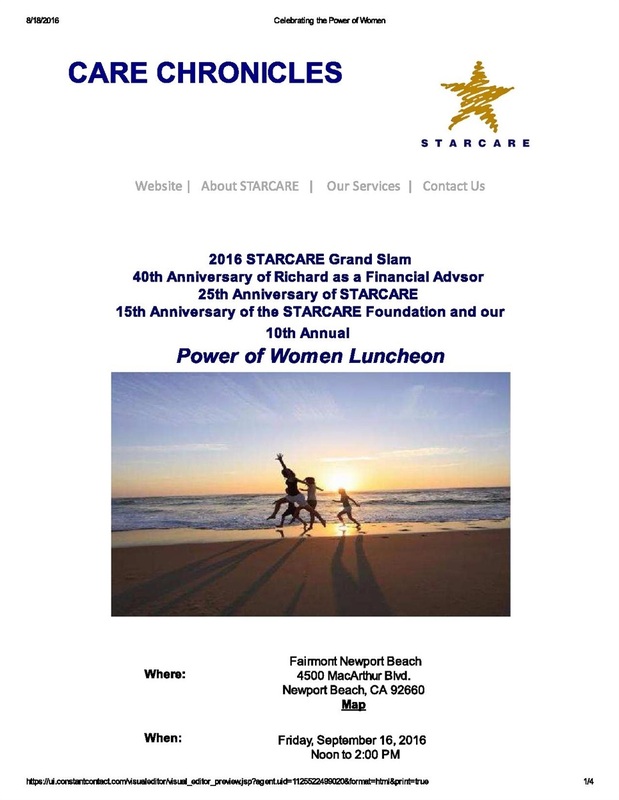 Women of Power | STARCARE Associates, Inc.
For more than three decades, STARCARE has made a conscious effort to educate and empower our predominantly female clientele. Our Women of Power program brings women together to learn, network, be inspired by motivational speakers, and to share their charitable giving experiences. Be sure to check in frequently for more information about our next event! Check out our photographs from last fall’s event in the photo gallery.